Ed Sheeran's Game of Thrones character from season seven seemingly received a unique shout out in last night's season eight premiere. When Bronn, played by actor Jerome Flynn, is getting busy with three women, when one of them brings up Lannister soldiers. Upon the topic being introduced, one of the three women mentions a red-headed soldier named Eddie--sound familiar? Right after mentioning him, the woman reveals he was so severely burned in battle that he no longer has eyelids. Seems like a downer, but Sheeran's reaction to his character's injury wouldn't make you think so. While we of course don't have confirmation it really is him, the singer is sure about it. "Thanks @gameofthrones, I knew I was a survivor," Sheeran wrote on Instagram in a Story with dialogue from the moment. 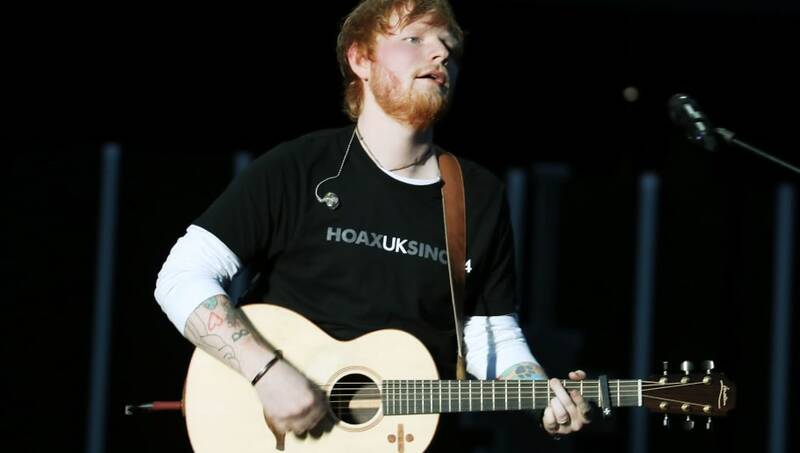 Sheeran's original cameo had him sharing a scene with Arya actress Maisie Williams, in which he sings a tune while at a campfire surrounded by other Lannister soldiers. When Arya doesn't recognize the song, he simply tells her, "It's a new one." Last night's Thrones was full of fun surprises. From Bran and Jaime's prolonged eye contact to Cersei's recently revealed thing for elephants, the episode was a nice welcome back after a nearly two-year hiatus for the show. While we don't anticipate a comeback from Eddie, we'll still be watching to see what happens on next week's episode.